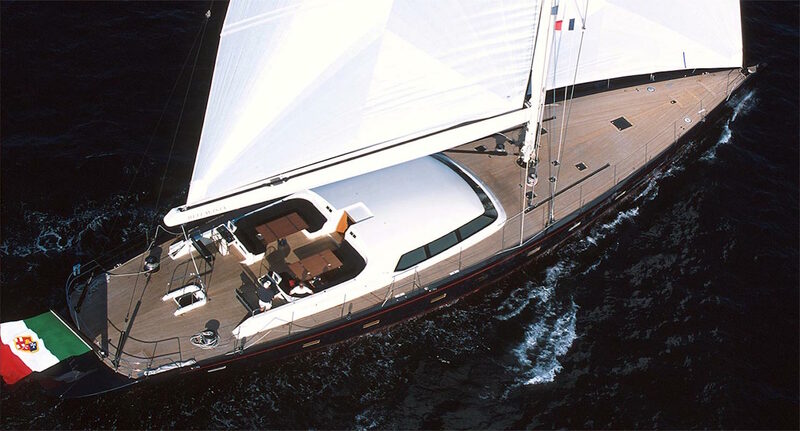 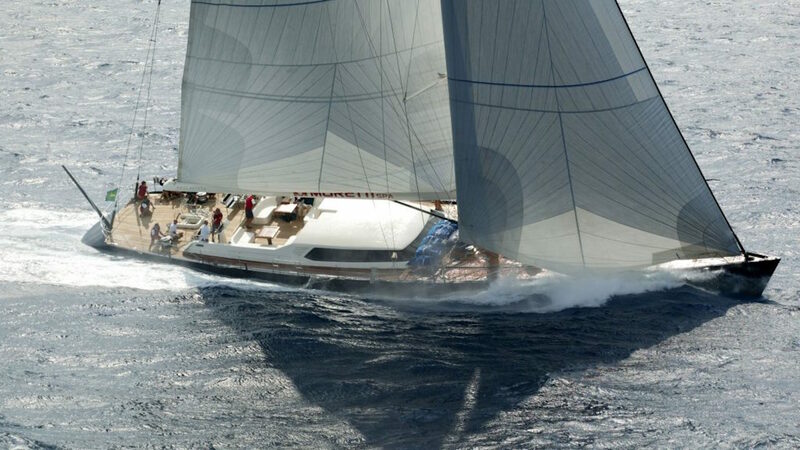 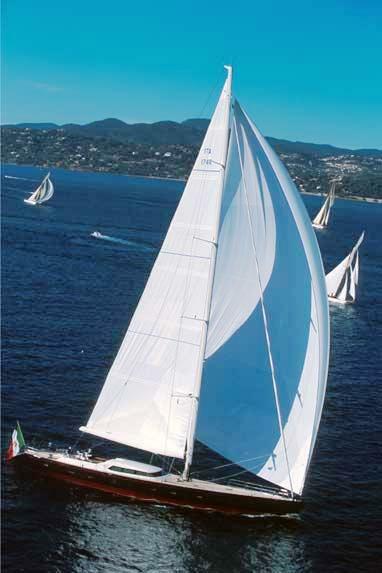 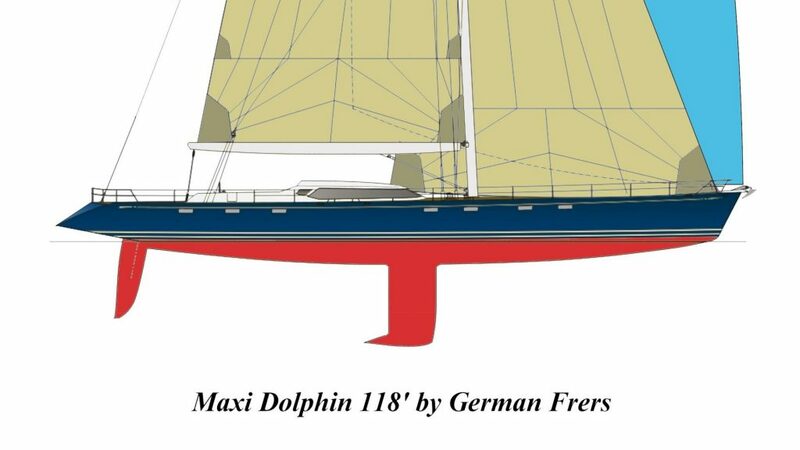 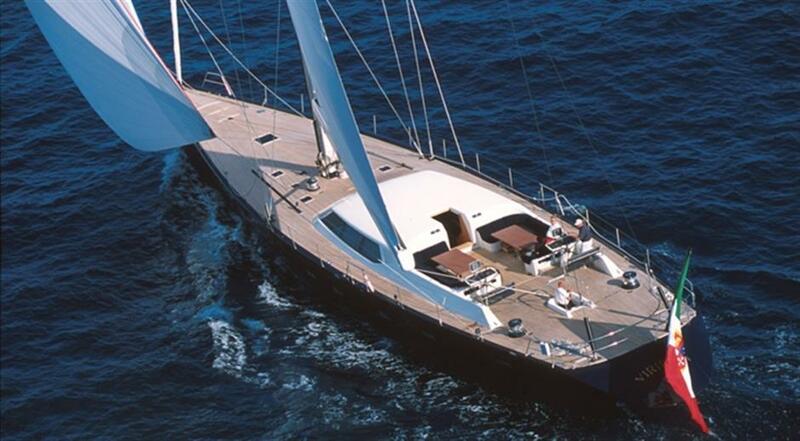 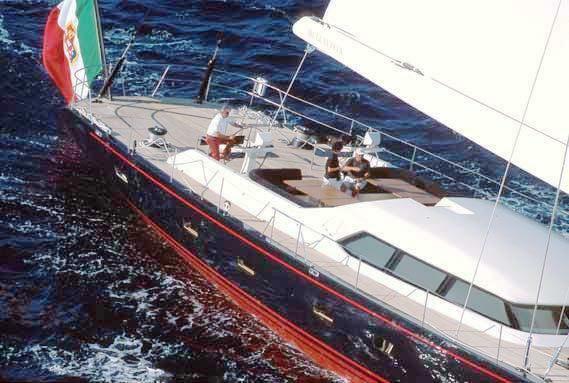 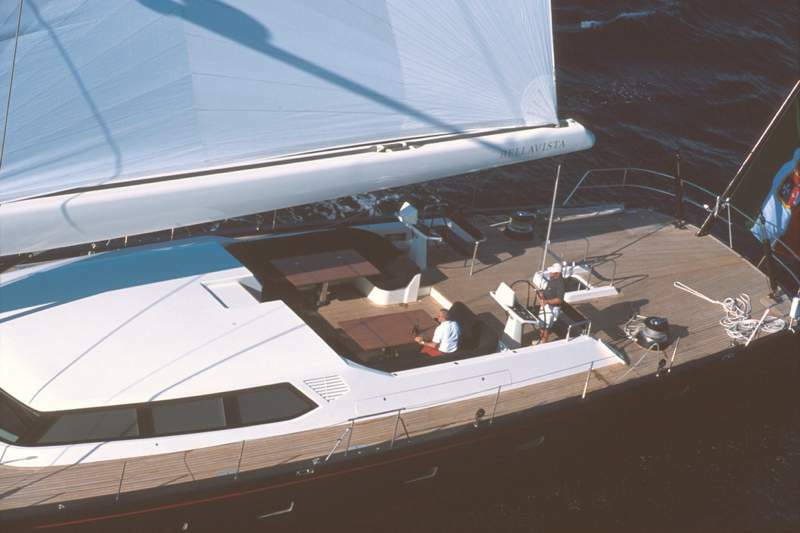 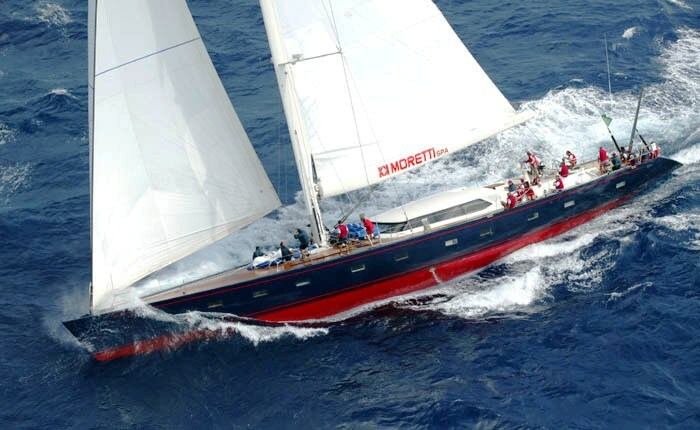 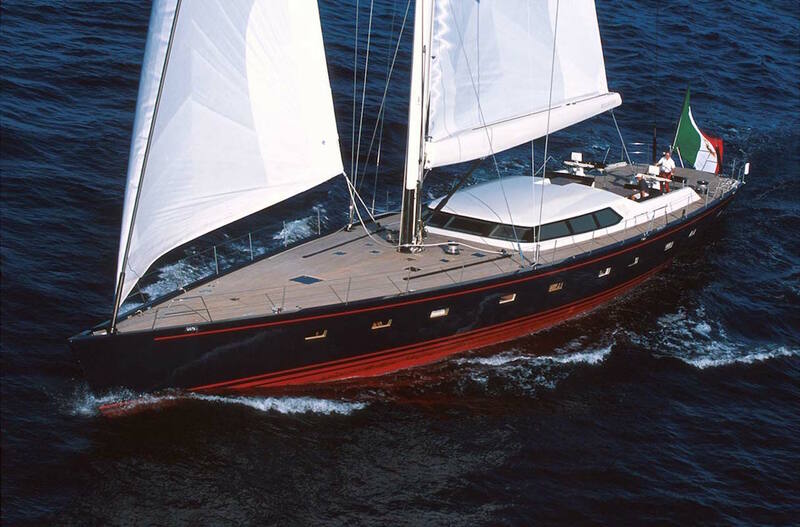 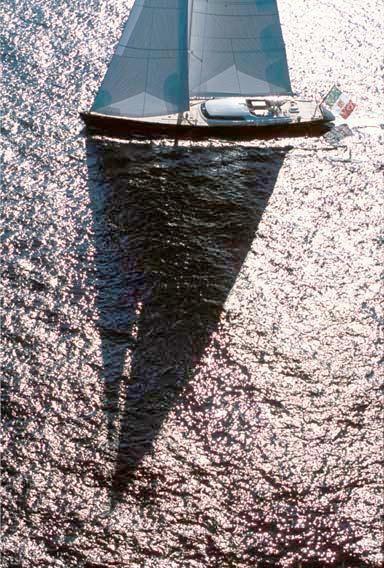 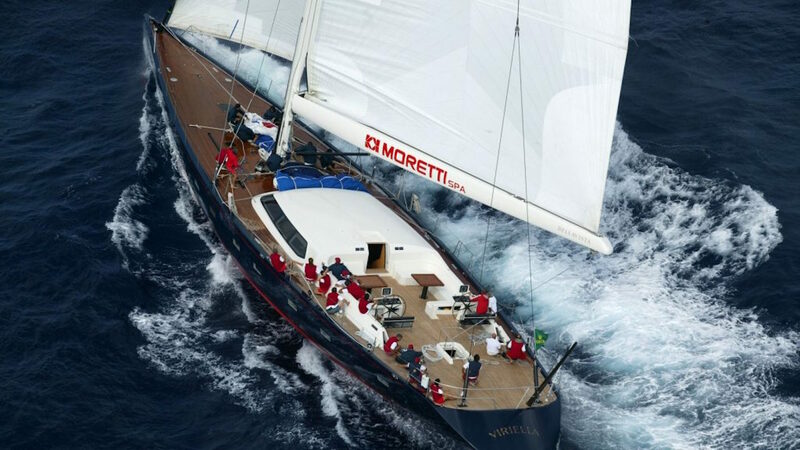 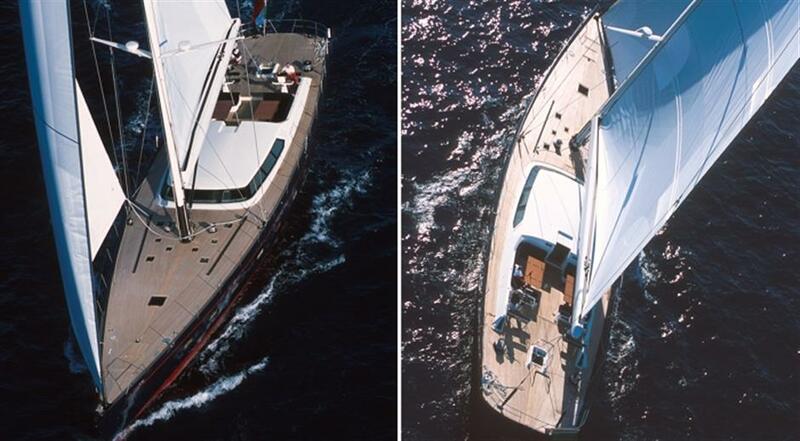 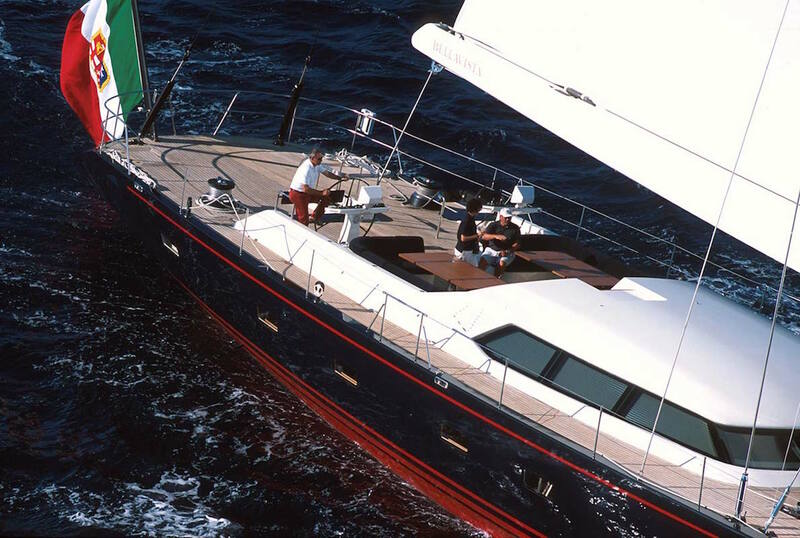 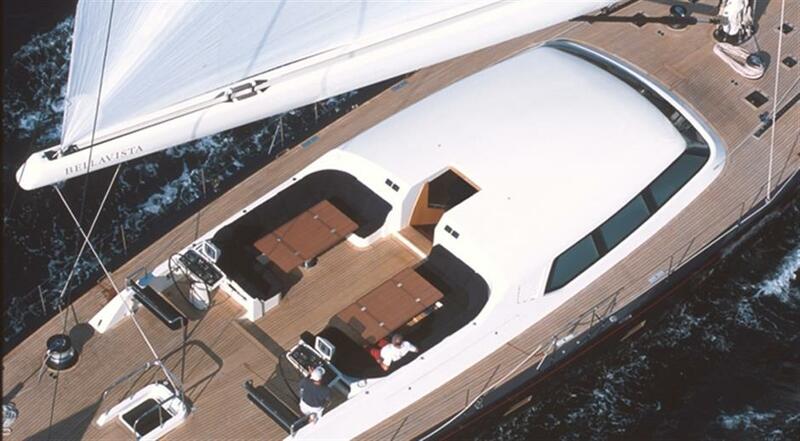 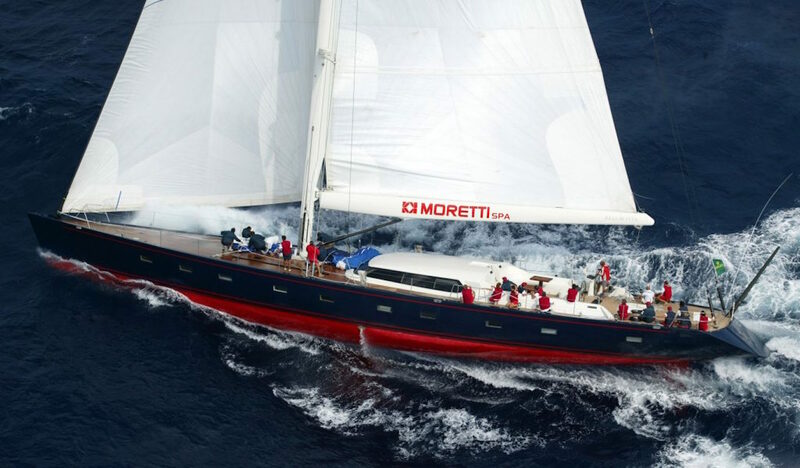 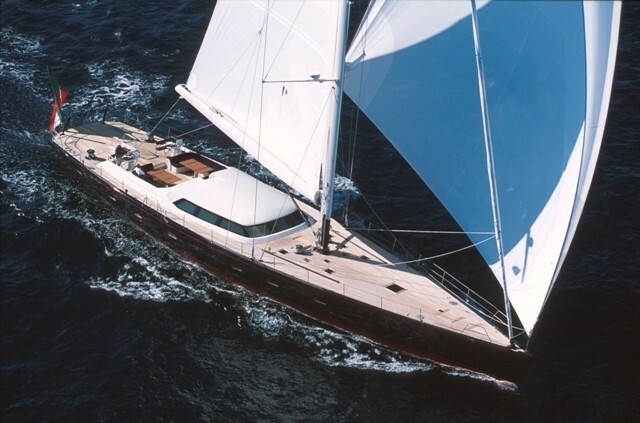 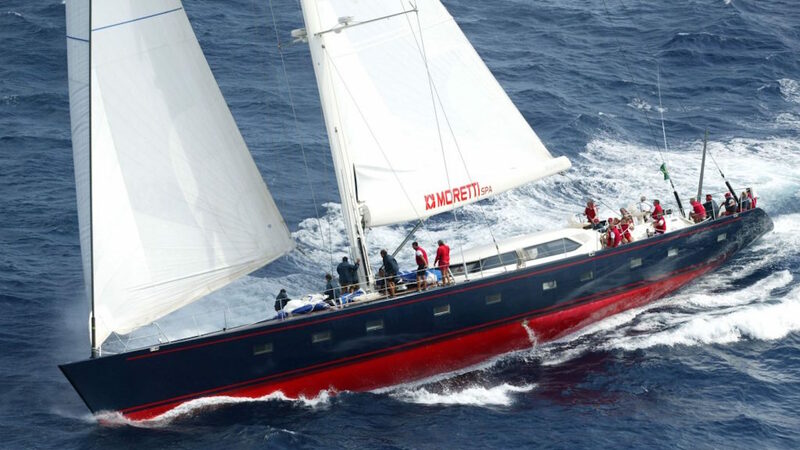 VIRIELLA was built by Maxi Dolphin, Italy, to the designs of German Frers and launched in 2001. 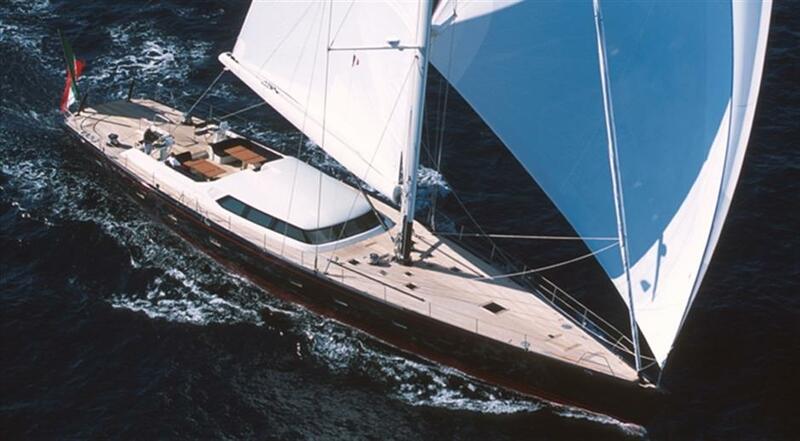 She offers a great balance of power and elegance. 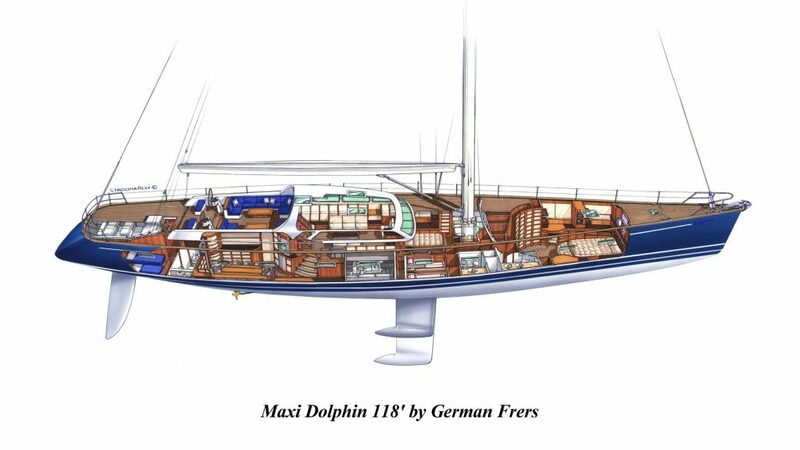 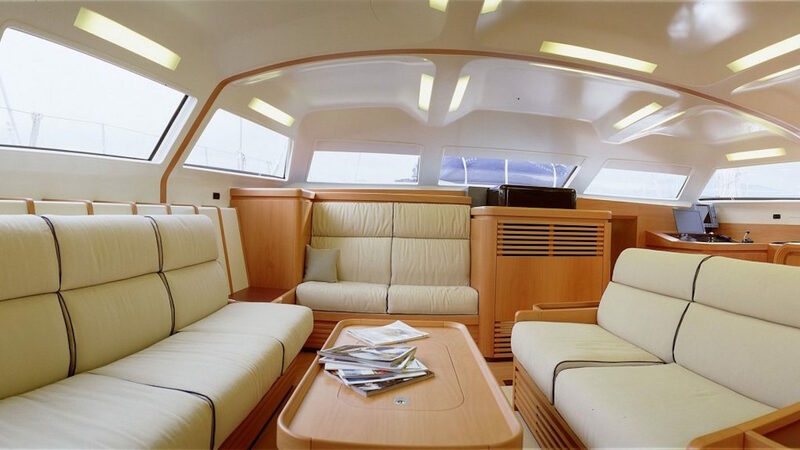 She offers superior performance sailing yet no compromise is made with her comfortable and luxurious interior. 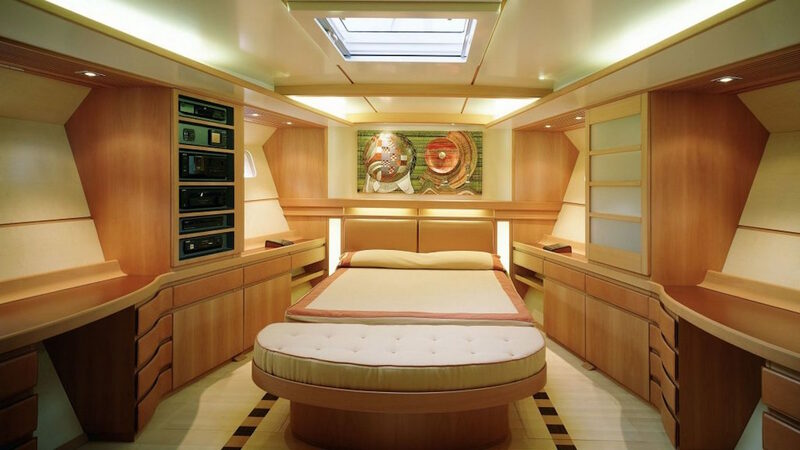 Sailing yacht VIRIELLA offers a modern chic interior featuring maple and pear wood panels, white soft furnishings and ample natural light creating an open, airy atmosphere. 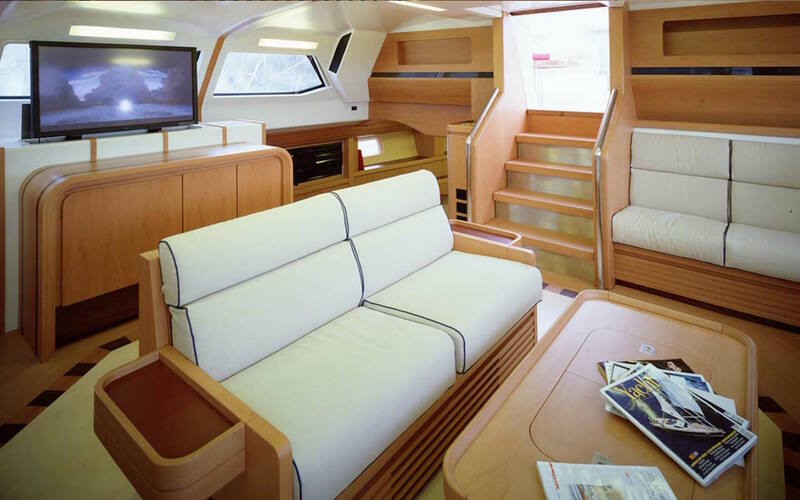 The salon is raised and has 3 comfortable sofas, table and entertainment centre. 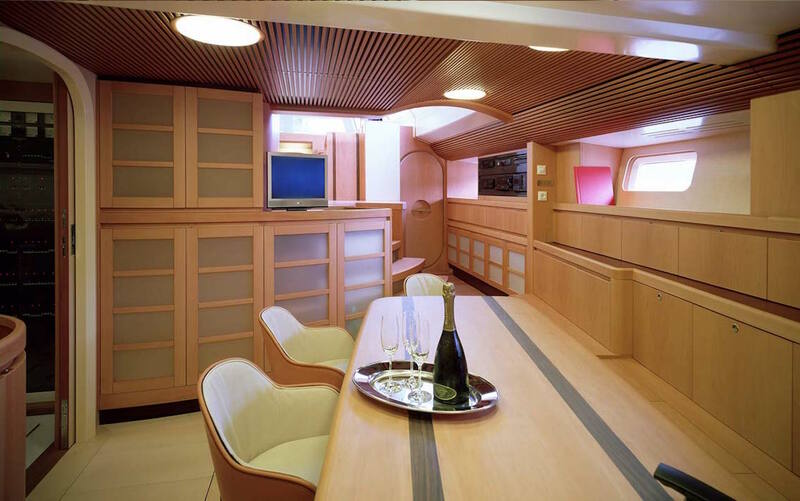 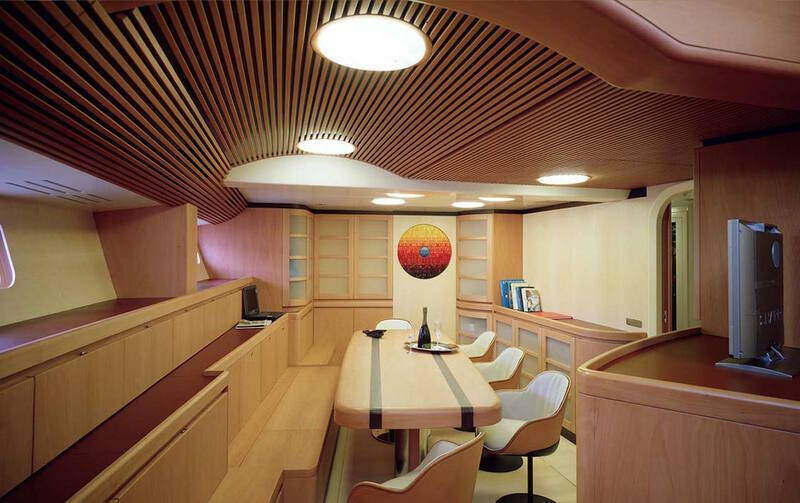 Starboard and aft of the salon, a private formal dining space is complete with large table and seating. 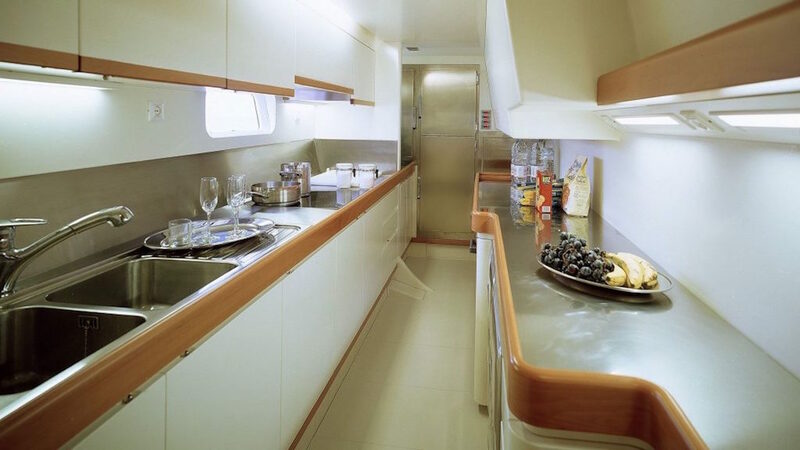 Guests cabins are located forward of the salon, while the crew cabins are aft, ensuring optimum privacy. 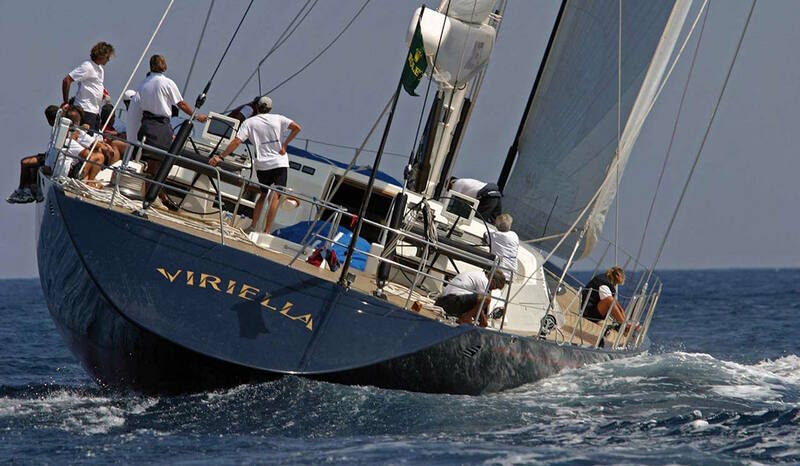 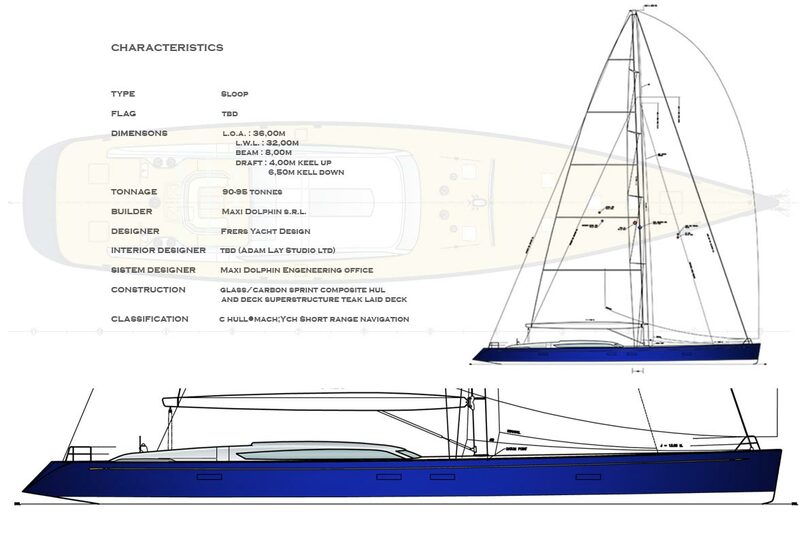 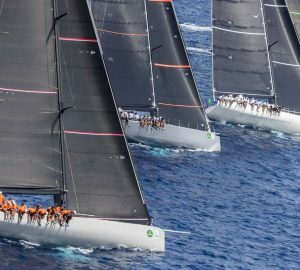 VIRIELLA’s rig has been carefully designed to ensure ease of handling and powerful performance while under sail. 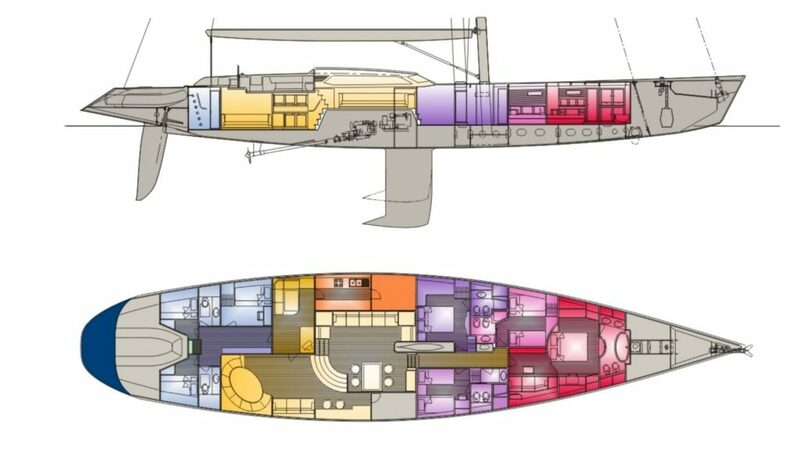 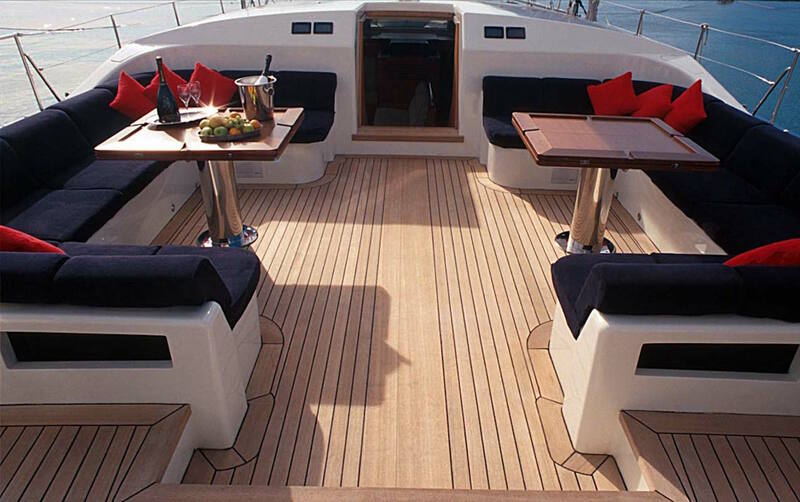 She offers large uncluttered deck areas provide excellent facilities for entertaining and sunbathing with welcome shade provided by a full awning over the cockpit. 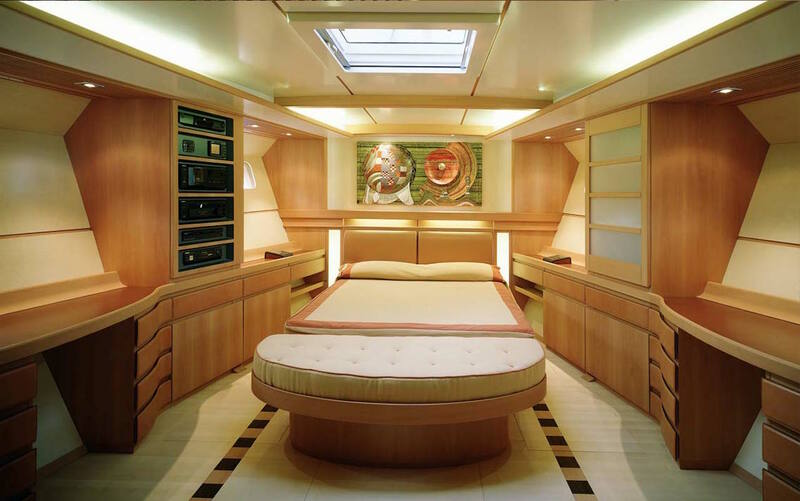 This luxury yacht offers accommodation in 4 deluxe and spacious en-suite cabins. 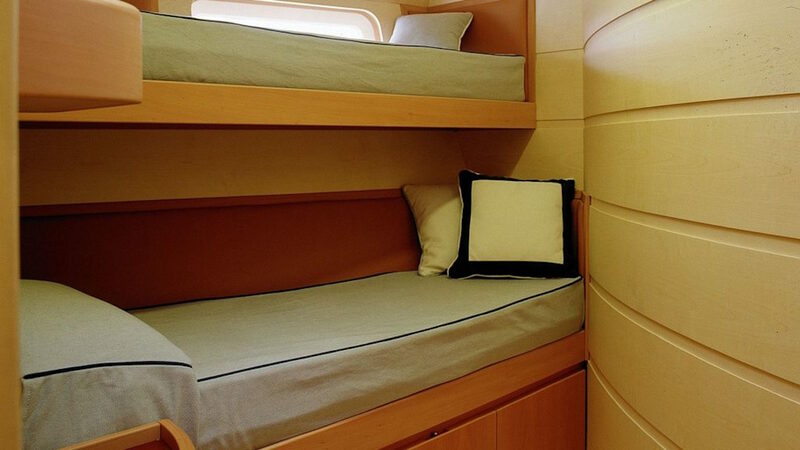 The master suite has a king size bed and private studio/office space, while a double guest cabin offers a queen size bed. 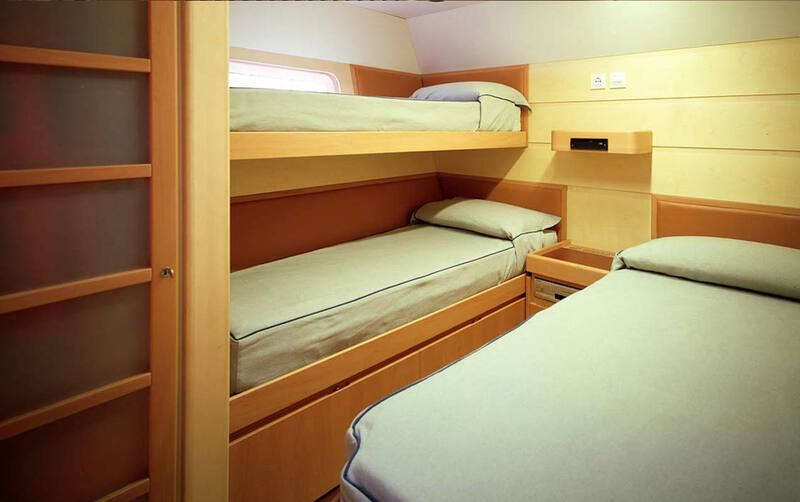 The other double cabin has a double bed and 2 Pullman berths, while the final guest cabin offers upper and lower single berths. 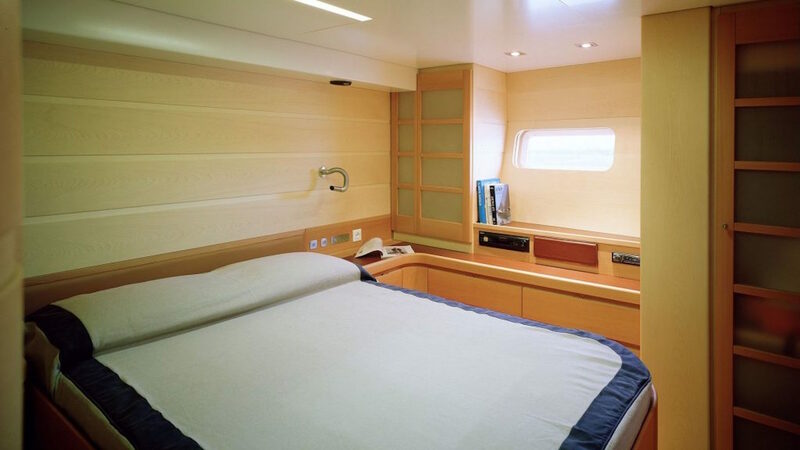 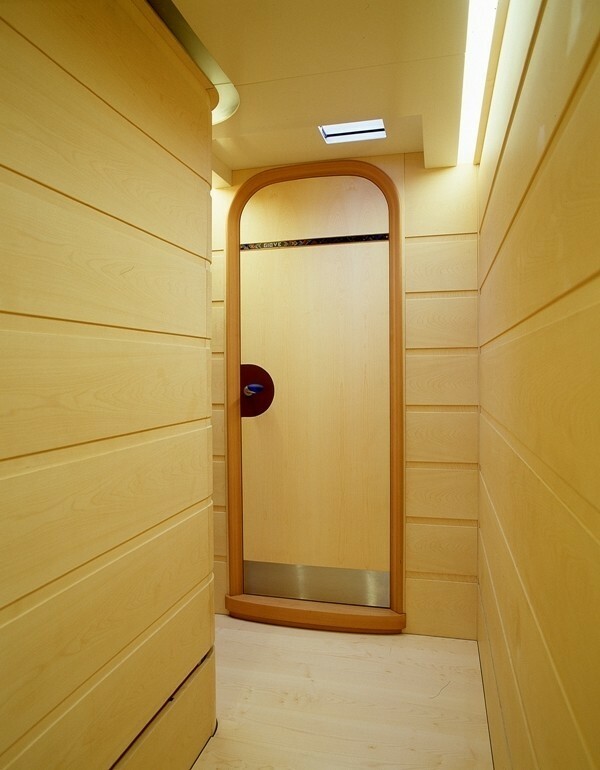 All the cabins receive plenty of natural light through ports and hatches. 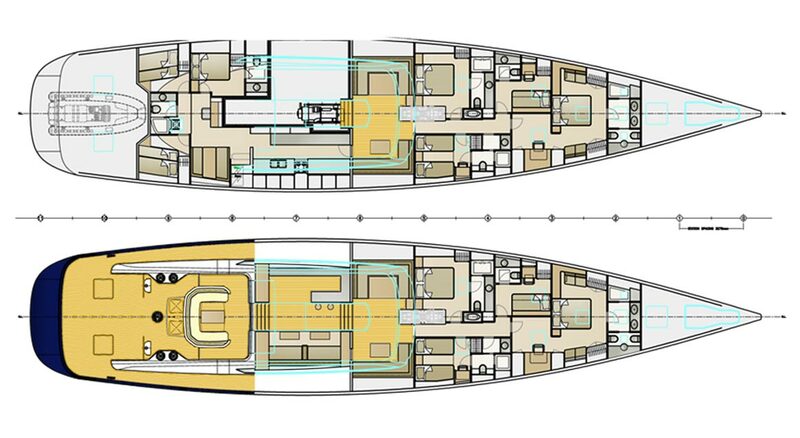 VIRIELLA offers the following amanities: Tenders & Toys 1 x 15ft Novamarine with 110hp jet drive. 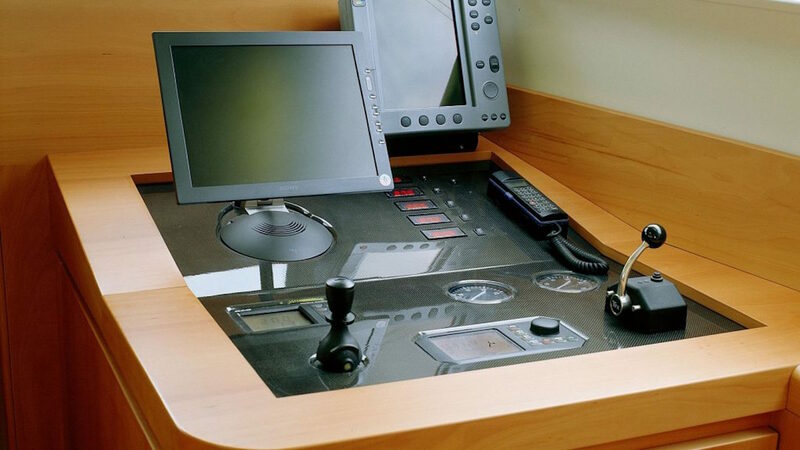 Audio Visual Equipment and Deck Facilities Extensive range of televisions, video, DVD and audio equipment. 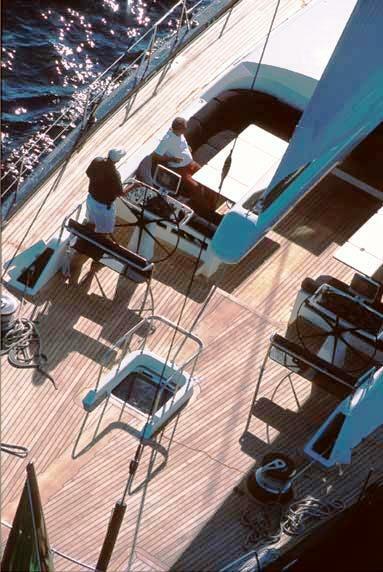 Large uncluttered deck areas provide excellent facilities for entertaining and sunbathing with welcome shade provided by a full awning over the cockpit. 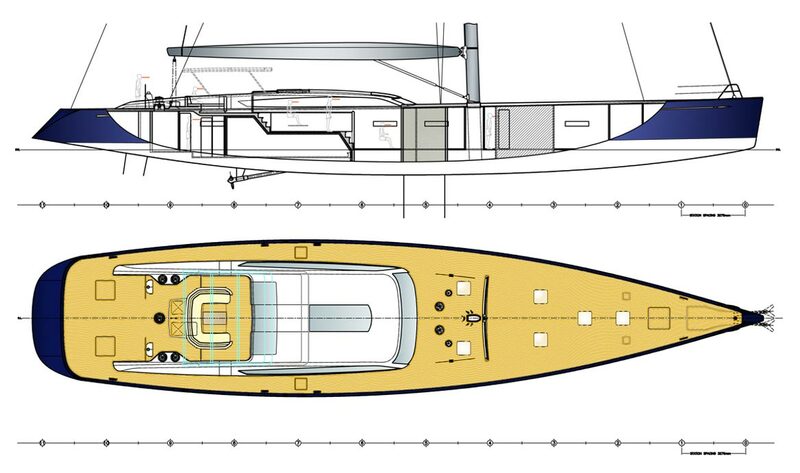 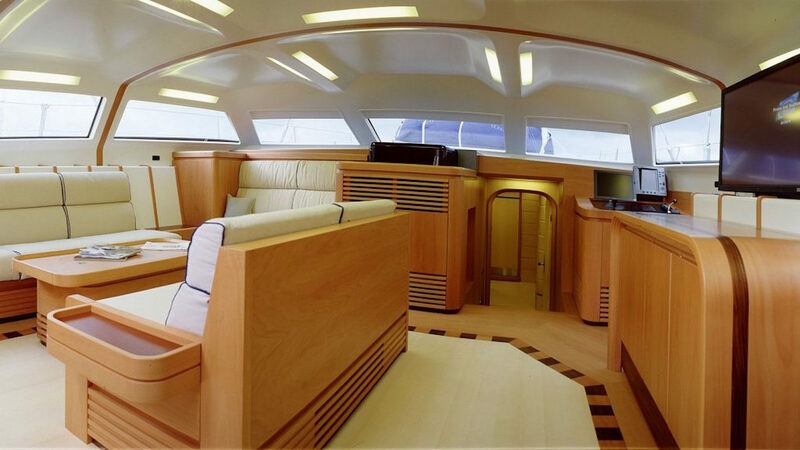 An hydraulically folding transom also provides a magnificent aft swimming platform with deck shower. 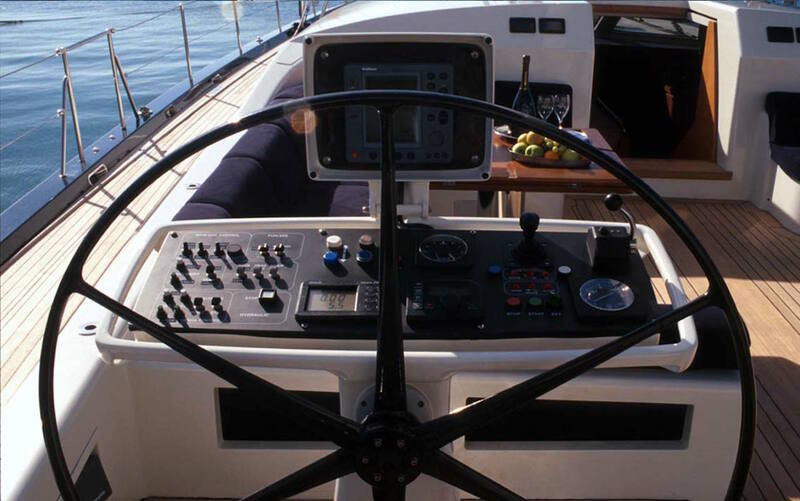 Communications 1 x Inmarsat Mini-M system 1 x GSM cellular system Range of VHF and SSB radiotelephones.